About 35 miles south of New Orleans is an authentic Cajun lifestyle like you've never seen before. This unapologetic culture is all up and down the bayou, and is filled with outdoor experiences like fishing and swamp tours, along with daily celebrations such as food, music, and festivals. 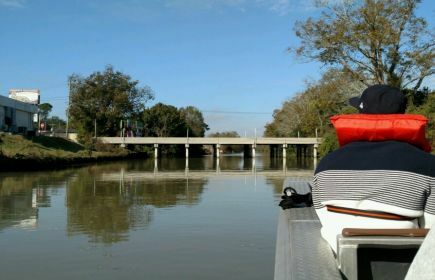 Up and down the Bayou- it's how we get from one place to another. It's a little different, but so are we. Our Cajun runs just a little bit deeper than the rest of the state, and it shows up at every bend in the Bayou. In Louisiana's Cajun Bayou, our stories are rooted in this timeless Bayou and centuries of history. Our hospitable nature and passion for storytelling, is part of why tourists visit and industry does business here. Our hearts are big and our stories are even bigger. The depths of our Cajun culture are shared through our stories and passed down generation after generation, like the secret of Nana's etouffee. These stories, told through our cuisine, culture, fishing and wetlands adventures, weave their way up and down the Bayou. Visit the unpolished beauty of the Bayou when you visit Louisiana's Cajun Bayou in Lafourche Parish. It's where Cajun runs deep.